We’ve all heard the expression “An ounce of prevention is worth a pound of cure” and it holds true in the basics of the aquarium hobby. However, one of the most common mistakes among experienced and inexperienced hobbyist alike is a lack of a quarantine (QT) protocol. So, if everyone is familiar with the term QT, why isn’t everyone playing along? Lack of understanding of what the QT process should be. Uncycled tanks are too unstable. Believing a trusted source that claims to QT for you. Laziness, no offense, but you know that applies to some. You have been in the hobby for many years and you have never QT anything before, why start now. Before addressing the issues above, let’s talk about what quarantine means. It is a period of isolation, observation, and acclimation for newly acquired species. While some species require a specialized QT protocol, and if you find something dealing with what you find is not really going to be discussed here. There are three different types of QT setups that are utilized. The Small Nano Display Cycled Quarantine Setup. The Sterile Uncycled Quarantine Setup. This QT tank is exactly what you are thinking it is, a nano tank set up as a display tank. It is fully cycled, “proper” filtration and lights. Sometimes it even has its little cleanup crew. It's a stable environment with beneficial bacteria. It's a natural low-stress environment. Can be difficult to observe behavior. Pathogens have a place to hide in the sub straight and rocks structure. It's running all times which means it will require maintenance when something is going through the QT process as well nothing is going through the QT process. 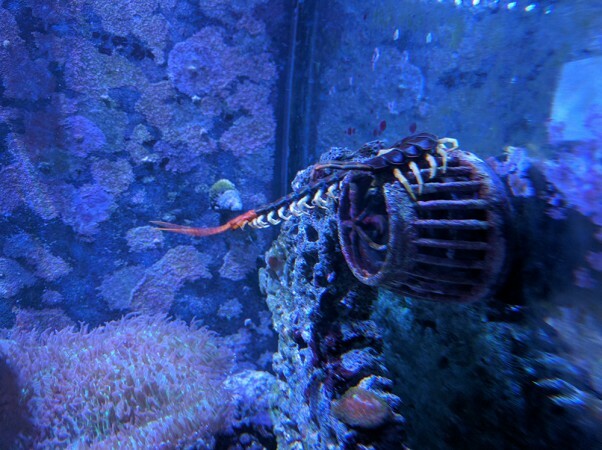 This tank is uncycled and there is no biological filter. Its basic setup includes a sponge filter with an airline and a heater. It's always good to have some PVC fitting so that species can use them as shelter. It gives them a place to hide if they are scared which helps keep their stress down. Limited or no hiding spots making it easier to observable the species. Can also be used as a hospital tank. It is cheap to set up. Maintaining proper water quality can be difficult. You will need to limit the amount of food that you feed to prevent ammonia spikes. This takes the best of the two other approaches described above. It looks and sounds like the sterile quarantine tank setup but with one major yet a simple difference as to where you store some of the equipment. That right all you have to do is to store the sponge for the filter in your cycled tank. By having the sponge in your tank it will populate the beneficial bacteria providing a cycled aquarium instantly. This is commonly done when you have a sump where you can easily store the sponge. So you still need a heater, sponge filter with the airline, the only difference is that you store the sponge in your cycled tank. Lighting is optional but fish are fine with any cheap light source. Need a way to keep the sponge cycled between usage. A sump is ideal. You have to be careful as to what medications you add to your QT setup if you plan to add the sponge back into your cycled tank. Things like copper even after you clean the sponge will release copper into your tank which can cause havoc on coral or invertebrates. So you set up one of the tanks above up, now what do you do? Well, when its time to quarantine a species you place them in the tank and you watch them. You feed them and make sure they are eating properly and not acting strangely. Make sure to keep the water parameters in check, you do not want Ammonia spikes or for the water parameters to fluctuate to the point of stressing the species. How long should I quarantine a fish? It's recommended to keep a new fish in quarantine for at least three weeks to observe them and make sure they are eating. 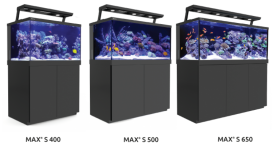 While its ideal to keep them 30 days or longer sometimes it's too tempting to want to get them into your display aquarium. Why do you want to keep them for longer than three weeks? Ideally, you want to fatten your fish up some, a fish that eats well is typically a healthy fish. This is also a good time also to transition the fish to eat the food you normally feed. 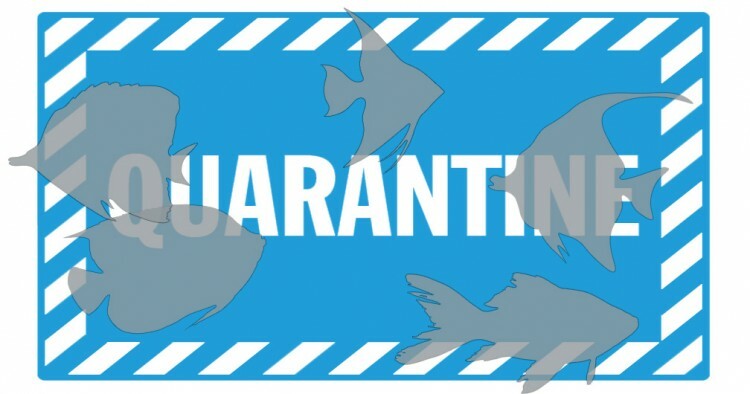 If the fish shows no signs of parasites, diseases, is acting fine and eating well then there is no need to keep the fish in quarantine longer the six weeks. Yes, just about every family of corals have hitchhikers some which are cool and some that you do not want in your display tank. Things like Red Bugs, Montipora Eating Nudibranch, Flatworms that attach Acropora as well as Soft Corals. A lot of these are hard to spot so dipping corals and them adding them to your quarantine tank is best. Keep in mind that you can't quarantine corals in a QT tank that any traces of copper have been used. The short answer is Yes. Parasites that hitchhike on your fish and corals can also hitchhike on invertebrates like crabs, shrimp, and snails. There is no reason to pick and choose what your quarantine, it's best to quarantine anything that goes into your display tank. Keep in mind that you can't quarantine invertebrates in a QT tank that any traces of copper have been used. Yes, the most common pest found on plants are snails there are many types of snails that have the ability to reproduce and quickly take over your tank. Let’s look at those excuses as to why you don't Quarantine. Hopefully, this articles helped some? Possibly gave you an idea of what you should do, as well as answered some of the questions that you may have had. Using the Mini Display tank or the Hybrid quarantine method will help keep your quarantine setup more stable. You can also use products like Fritz Complete or AmQuel or just good old water changes to keep your water parameters in check. No matter what method you use I suggest getting a Seachem Ammonia Alert to make your life easier so that you do not have to keep testing for Ammonia. You do not need a huge setup for your quarantine I personally like a 20 gallon long but use what works for you. You also do not have to buy it new, jump on Facebook Market or Craiglist and see what people are selling used. If you are not in a hurry and patient a lot of times people giving away 10 and 20-gallon full setups for free. Let's say you have to buy it all new, here is a ballpark figure of what you would be looking at. The prices should remain close but click on the item and you can see the current price it will most likely fluctuate. That’s just under $70 if you bought everything new, as I mentioned it a lot of time you can get most of this for free especially during the summer time. It's too expensive not to quarantine. Whether we bought all of the species in our tank or traded for them, they all have a proceed value. Maybe you bought a coral for $5 and it's after five years it's a huge beautiful colony that is now worth a lot more. What if you lose all of your corals or all of the fish in your tank, how much would that cost you? If you go with the Hybrid or the Sterile Quarantine you can store the tank in a closet and pull it out when you need it. 10 Gallon tanks are small enough that you should be able to keep it in a closet, garage or even under your bed. After you are done clean the tank and stick it in a bad to prevent stuff from going into the tank. No one in the hobby can guaranty that the species is clean and parasite free. Also, no one in the hobby is going to care about what goes into your tank as much as you do. I think there are some Local Fish Stores (LFS) that are claiming to quarantine before they sell the species to the hobby and it’s become more and more popular. This is great but once again you have to assume that they are doing it. If a parasite makes it through the quarantine and into your tank the person who will have to deal with it will be you. Getting a species from another hobbyist is the same thing, you could have an issue where a hobbyist gets Montipora Eating Nudibranch and they did not know because they did not have any Monitipora. Sometimes things seem fine in one tank and can become a major issue in another tank. Some people do not want to do a bunch of water changes for a quarantine tank. Setup a quarantine display, it will have the needed bacteria and while you will still have to do maintenance but you could have something interesting like an invertebrate tank. In the end yes no matter what quarantine method that you do is going to cause you to do some extra work but the amount of work to remove a pest from your display will be a lot more work. There are lots of people who just do not quarantine and do not see the need for it, maybe they claim they examed the species before buying it. In the end, these people are just lucky. Unfortunately, I know several people who were luck but eventually, their luck ran out. I am talking SPS pure tanks that were infected and in the end, they lost tons of SPS corals. That was the lucky hobbyist, I know several who after a major issue caused them to leave the hobby due to the huge losses that they took. One user actually quarantined always when they bought stuff from LFS or from an Online Vendor and what got them was a hobbyist. The person they got the coral from has a beautiful tank so he assumed everything was fine. Turned out that the several wrasses that they had in their tank was managing the issue and once they were in an environment that they did not have predators they multiplied like crazy. 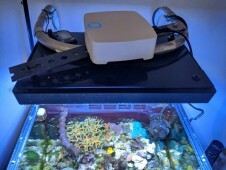 You can roll the dice and not quarantine but at some point, your luck will run out, I hope when that does happen you are able to take action quickly and that all of the species in your tank survive.